"I am very happy with the results, and glad that I will be able to share this puzzle with the entire puzzle community!" 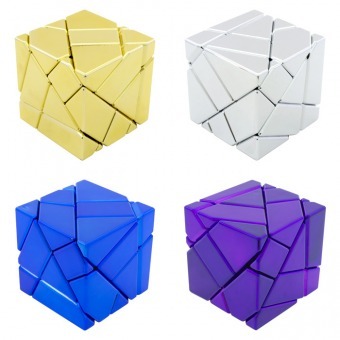 and now one of the most difficult and costly to make puzzles has been made even more special and unique by Metalizing it in 4 oustanding colours, Gold, Silver, Royal Blue and Purpel in a very high gloss mirror like finish that unfortunately our camera could not do justice to. These come in a very limited edition and when sold out will not be made again.